In addition to our many lines of products we have partnered with the leading window covering manufacturer in the business, Hunter Douglas. Because of our special relationship, when you desire the pinnacle of window fashions we can get you prices others just can’t beat. As a Hunter Douglas Certified Professional Dealer, we proudly sell Hunter Douglas window fashions, featuring the industry's largest selection of sheers, shades, honeycombs, blinds and shutters. Hunter Douglas window treatments are custom-built expressly for your windows and manufactured in the U.S. according to the highest standards of quality. Below isn’t all the Hunter Douglas products we offer…Just a small sample of the vast Hunter Douglas lineup. Like the subtle cast their name suggests, Silhouette® window shadings, with the Signature S-Vane™ create beautiful and ambient light and shadow. Soft fabric vanes are suspended between two sheers, diffusing softened light deep into a room. 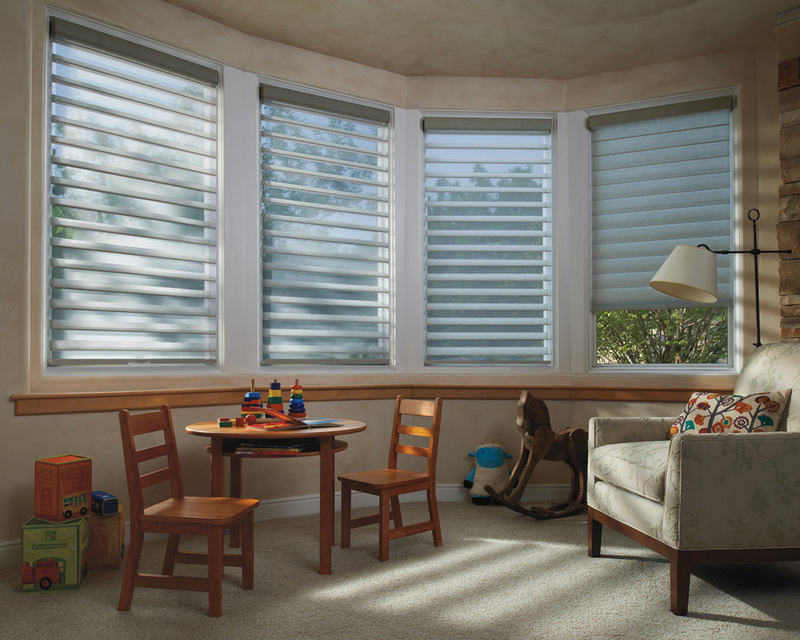 Tilt the vanes to achieve the privacy you desire while maintaining UV protection. They are available with an advanced version of Hunter Douglas’ LiteRise system that now allows the vanes to be manually operated. This eliminates the need for operating cords of any kind, rendering Silhouette with LiteRise the ultimate choice for child and pet safety. 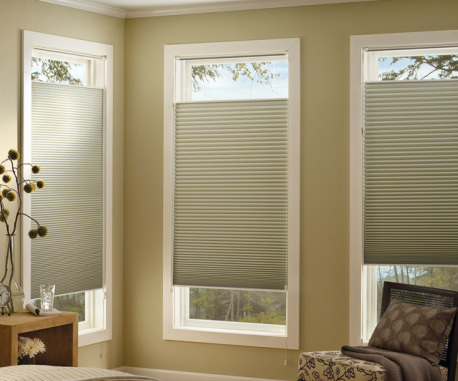 Uniquely designed with soft, horizontal fabric vanes attached to a single sheer backing, Pirouette® window shadings control light in an entirely new way. Gently pull on the operating cord and the fabric vanes expand, beautifully filtering the natural light. Pull again and the vanes contract, providing a clear outside view. With Pirouette® window shadings, the look and feel of a traditional fabric shade is enhanced: the gentle pull of a cord lets you change a room’s lighting in a whole new way. 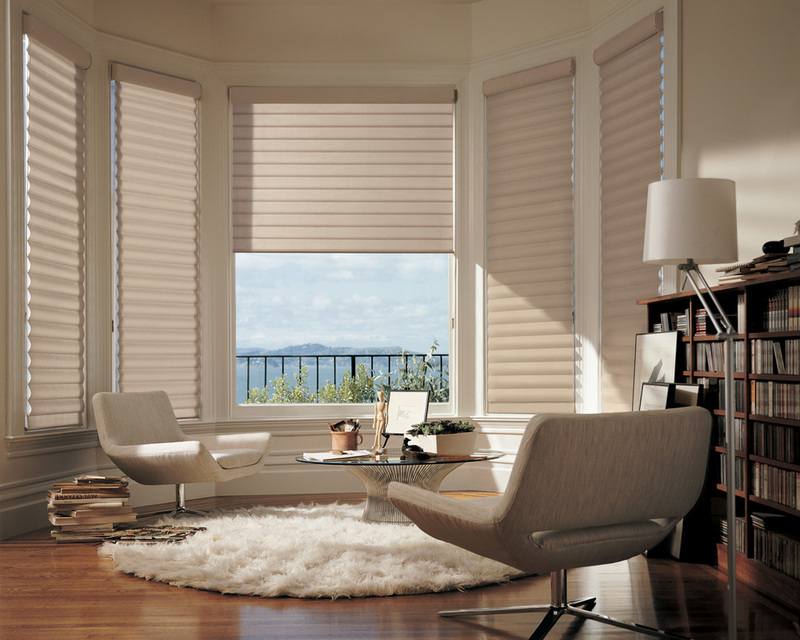 Soft, horizontal fabric vanes close to filter natural light, or open to give you a perfect outside view. Hunter Douglas’ revolutionary Invisi-Lift™ system allows the vanes to float gracefully, and even opened they offer UV protection and reduced glare through the sheer backing. Offering stylish design, energy efficiency, sun protection and privacy, Hunter Douglas shades beautifully cover virtually any window. 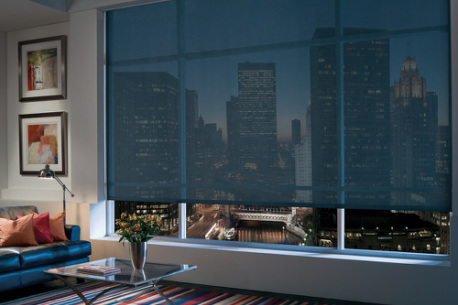 For a look that’s both custom and classic, their Designer Roller Shades offer a clean appearance in a beautiful range of fabrics, along with a variety of design options and lifting systems. The Harmony Program™ offers more than 47 fabric styles—choose the same fabrics for your vertical and horizontal window fashions when you combine Designer Roller Shades with their Skyline® Gliding Window Panels. Innovator of the first honeycomb shade, Hunter Douglas continues to offer the best in class with a honeycomb shade collection that delivers the industry's highest energy-efficiency rating. Their innovative honeycomb construction creates air pockets where light meets color. 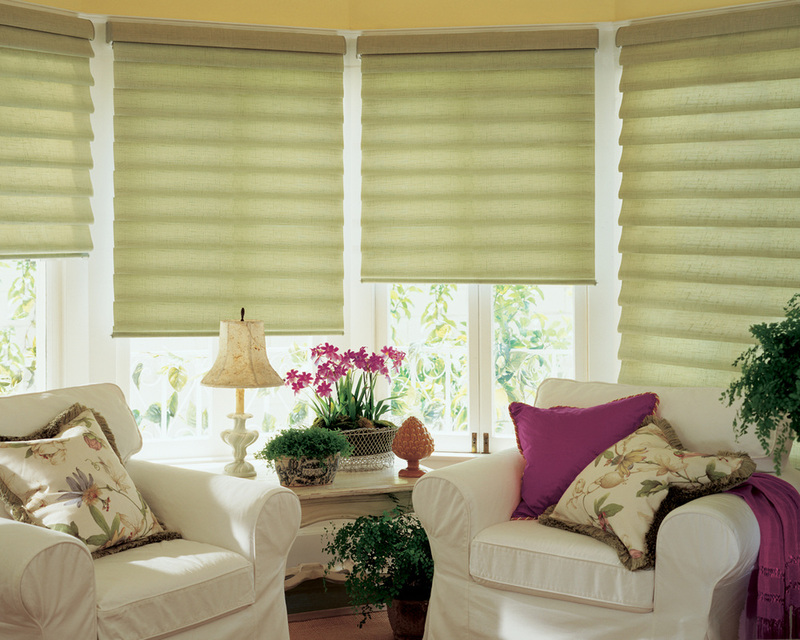 Raising and lowering from top or bottom to suit the day and your activities, the Duette® honeycomb shades are an attractive, classic choice available in an impressive range of fabrics, pleat sizes, colors and textures. Representing the industry's largest selection of genuine woods, aluminum, vinyl and fabrics, Hunter Douglas sets the gold standard for window blinds. Made from premium-grade polystyrene slats, EverWood® TruGrain® alternative wood blinds offer a natural look. 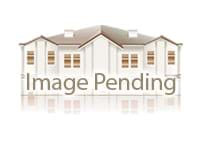 Choose from the largest selection of realistic TruGrain finishes and upgrades. Ideal for heat and moisture areas, they come with protection against fading, yellowing, warping or bowing. Available in 2" flat and 2 1/2" beveled slat sizes. 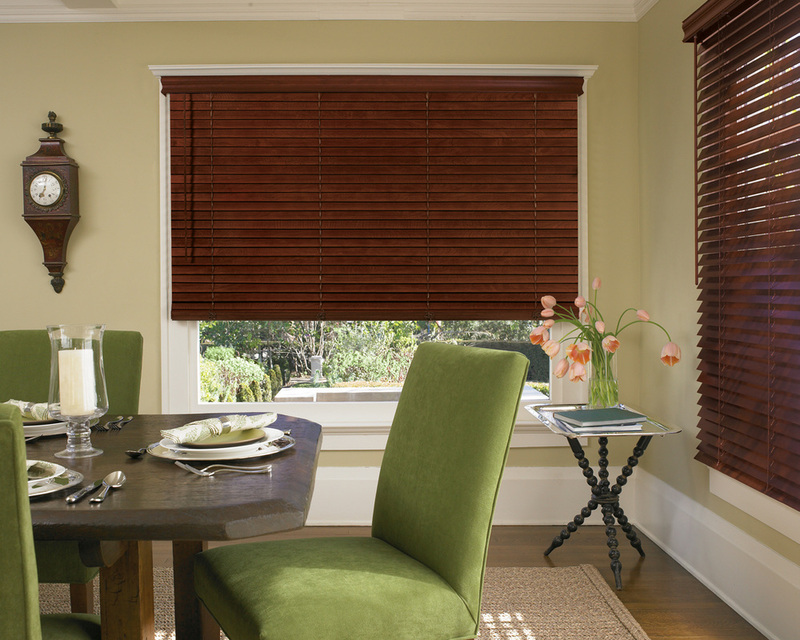 This smart alternative to wood blinds has classic good looks that don’t age. In realistic TruGrain® finishes or a large selection of whites, and with operating and decorative upgrades available. They’re guaranteed against fading, yellowing, warping or bowing. 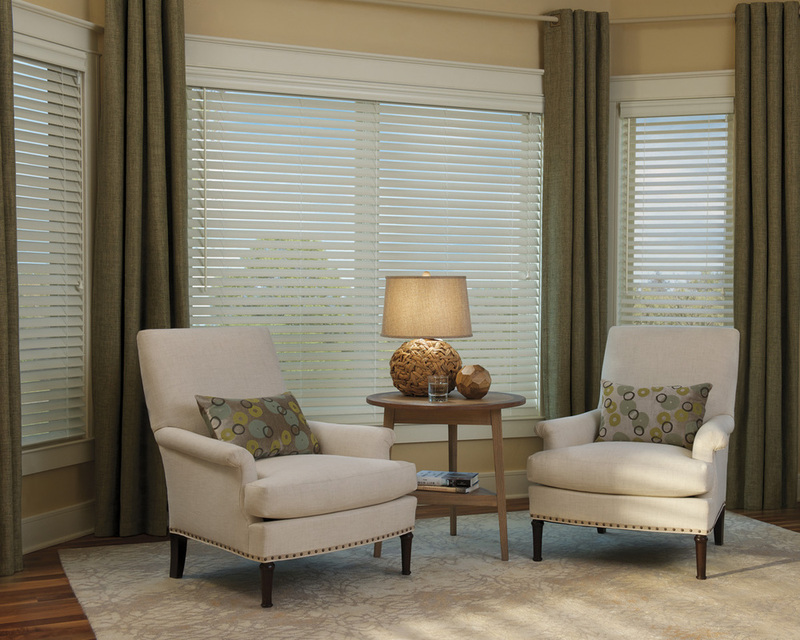 Traditional styling and rich hardwood slats let our Parkland™ wood blinds complement the lines of any room. Fashioned to create a warm and inviting home, they’re available in a variety of colors and four slat sizes. Advanced finishing technology is used on Parkland wood blinds to provide maximum protection and beauty. Precision crafted from the finest North American hardwoods, including genuine oak and cherry, Parkland™ Genuine Woods blinds exude tradition and character. Their exclusive finish provides longstanding protection against everyday wear, including fading, moisture, chemicals and scratching. A stylish addition to any room. Available in 15 fabrics and 102 stunning fabric and color combinations, Vignette® Modern Roman Shades offer fresh, contemporary styling for almost any window. Vignette shades roll, stack and traverse with no exposed rear cords for enhanced child safety. All options are created from the same fabrics for ultimate coordination. Luxurious fabrics and soft folds give Vignette® Modern Roman Shades a clean, crisp look, with the added benefit of enhanced child safety. Offered in semi-sheer, translucent and room-darkening fabrics, the two styles and three fold sizes help you create warm, inviting, beautiful windows. The simple elegance of rich, hardwood shutters gives a lift to any room. 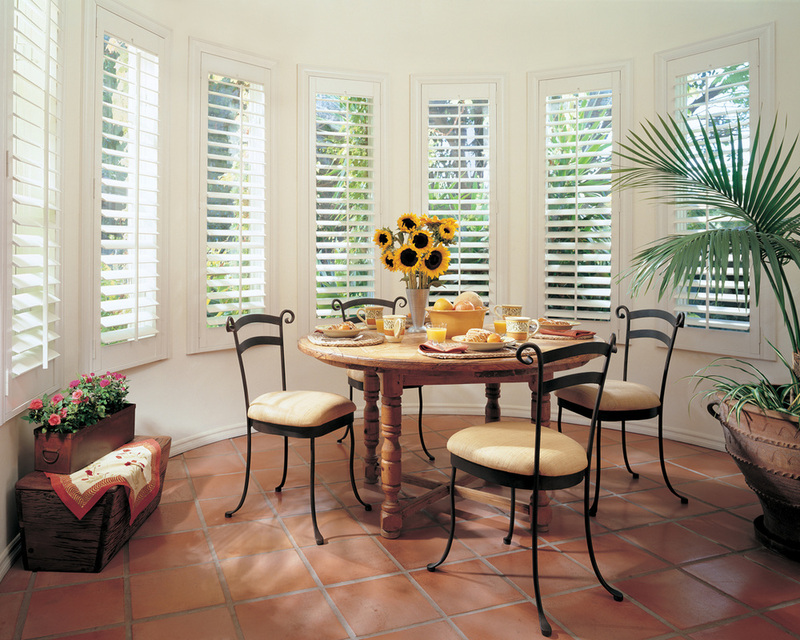 Now, the maximum strength and durability of our Heritance® hardwood shutters makes them a wise investment in many ways. They feature Truemill® dovetail joinery and a vast selection of frame choices, specialty shapes, and louver sizes – and more than 100 paint and stain finishes, as well as custom colors. Stylish. Versatile. Revolutionary. Their innovative NewStyle® hybrid shutters combine the great style of wood with the strength, stability, and straightness of advanced modern-day materials. With Finetech® micro-smooth finish, NewStyle® shutters offer the elegance of quality shutters at an affordable price. 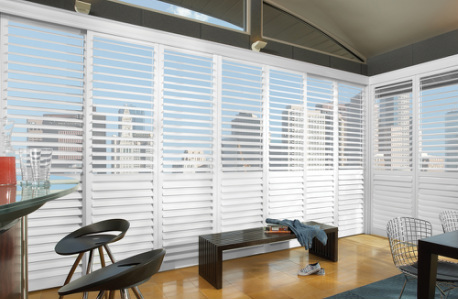 The unique style of wood meets the strength and straightness of modernday materials in our NewStyle® hybrid shutters. A versatile complement to any interior, their micro-smooth finish makes the beauty of high-quality shutters affordable for any home. 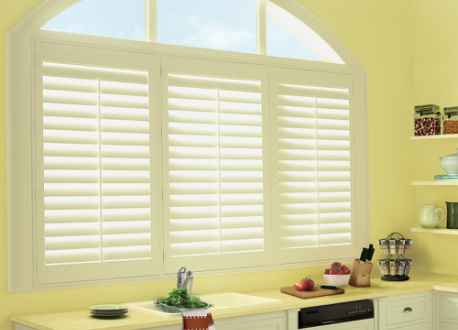 For fashionable windows exposed to harsh sunlight and moisture, consider the stylish sophistication of Palm Beach™ polysatin shutters. They’ll maintain their beautiful luster without warping, cracking, fading, peeling or discoloring, even under harsh environmental conditions. In fact, if any of these ever happen, it is considered a 'defective' shutter and Hunter Douglas will take care of it at no charge!